As a huge fan of the traditional raw fish Hawaiian Poké dish, I was very excited when Southwest started selling tickets to Hawaii. Since this trip for my family of three is still several months away, I’m building a stockpile of points to redeem for both air travel and hotels. I’ve been putting most of my big purchases, like our bathroom remodel, a new refrigerator and medical bills, on my Chase Sapphire Preferred credit card and saving Chase Ultimate Rewards points. We will transfer a chunk of these points to my Southwest account (they transfer at a 1:1 ratio INSTANTLY to Southwest) to book plane tickets for my husband and I to fly from Denver to Hawaii. We’ll then use my Southwest Companion Pass to add my son FREE (aside from the government security fees of $5.60 per way). I earned the Southwest Companion Pass by signing up for both personal and business Southwest credit cards and meeting the minimum spends at the beginning of 2018. That means my pass is good through the end of 2019 — hooray! 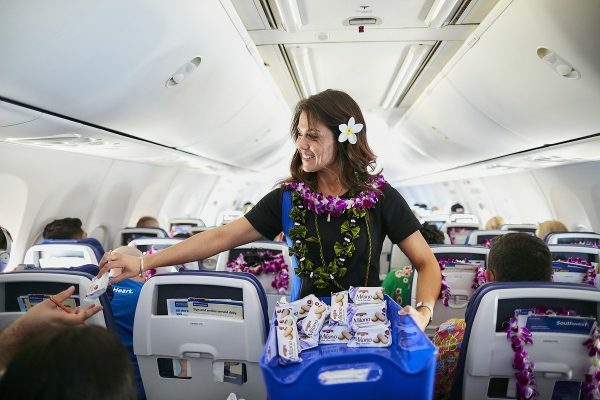 We’ll also use my Southwest points to fly between Hawaiian islands. I was thinking summer would be a good time to travel, but fall or winter would give us more time to save our Chase Ultimate Rewards points. However, the fall and winter months may be some of the rainiest months in Hawaii. 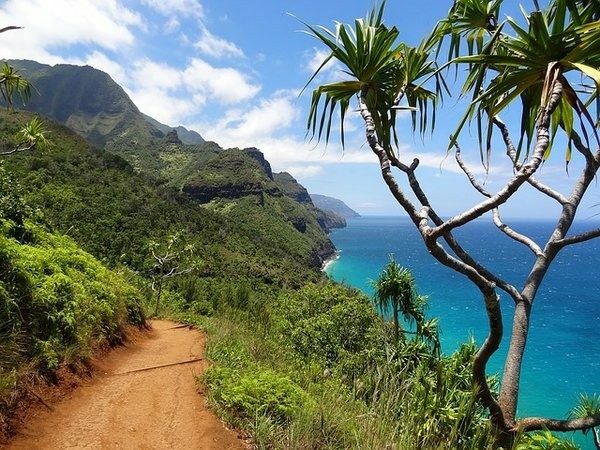 We are leaning toward visiting the islands of Oahu, Kauai and the Big Island. My friend recommends Kauai as one of her favorites. I’m definitely looking forward to tasting the food and learning more about the Hawaiian culture, and of course, enjoying the tropical cocktails! This is one of the properties I’m considering for our hotel stay in Hawaii. Currently, you can sign up for the Marriott Bonvoy Boundless credit card (which I have already — I got it when it was an SPG card) and earn 100,000 bonus Marriott Bonvoy Points after you use your card to make $5,000 in purchases within the first three months. 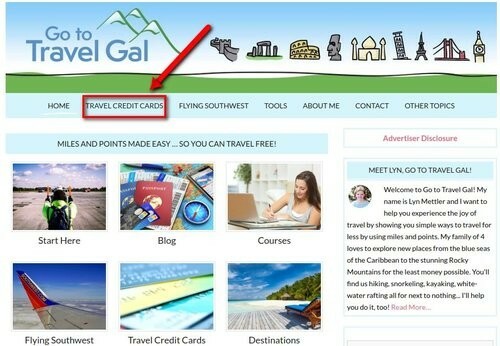 Thanks for using the TRAVEL CREDIT CARDS links in the main menu of GotoTravelGal.com (shown in the image below) to apply for any credit cards. This allows the blog to earn a commission — at NO COST TO YOU — to continue to allow us to provide free tips and information. It’s never required to use this link, but we really appreciate it if you do :). 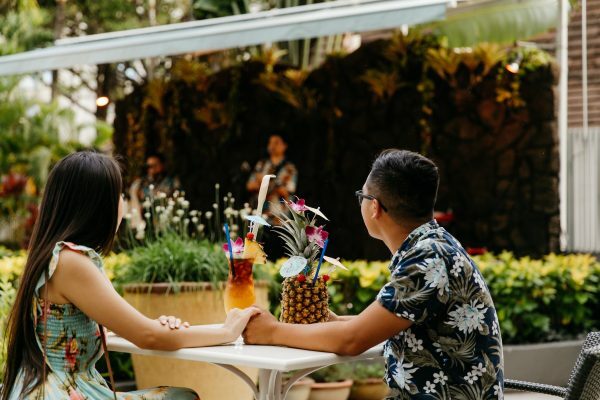 During the first week of December, you can book a free night at the Sheraton Princess Kaiulani, which is only one block from Waikiki Beach, with just 50,000 Marriott Bonvoy points per night. Remember, if it’s peak or off peak season the points required can be lower and higher than this. The best perk of this rewards program is that when you redeem four nights, you get the fifth night free! So for a total of 200,000 points, we can spend five nights at the Sheraton Princess Kaiulani for the points price of just four nights. There’s also a daily resort fee you’ll have to pay of $33 plus tax. If you don’t have enough points, you can book and pay for your room with a combination of cash and points. If I choose this property for part of our visit, I’ll likely need to spend further on my Marriott/SPG cards to earn enough points for our stay. The World of Hyatt rewards program is one of the best hotel redemptions programs I’ve seen. Chase Ultimate Rewards points can be transferred to Hyatt hotels also at a 1:1 ratio. I’m eying the Grand Hyatt Kauai Resort & Spa, a beachfront resort with classic Hawaiian guest rooms each with its own balcony, which are called lanais in Hawaii. The property has an award-winning restaurant, spa and pools with waterfalls, lazy river, water slide and seating nooks. The ocean, with its beautiful white sand, is close by. You can book the Grand Hyatt Kauai Resort & Spa, which normally costs $572 a night in early December for up to four adults, with only 25,000 World of Hyatt points per night. The daily resort fee of $35 is waived when you book with World of Hyatt award points. Yea! This is a hotel where I will splurge on my points, because it’s such a beautiful property. I can also redeem my Hilton points on several islands. 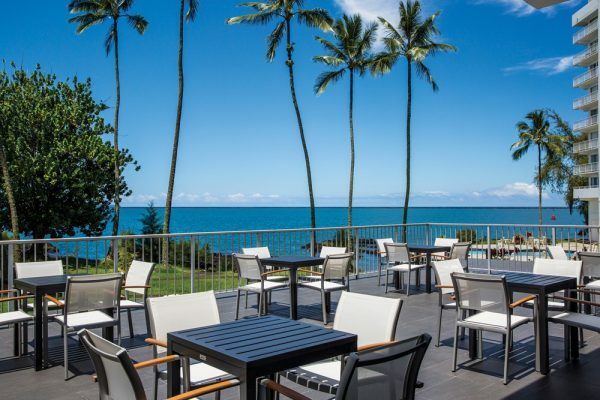 The Grand Naniloa Hotel Hilo – A DoubleTree by Hilton, on the Big Island looks amazing. It’s a lush oceanside resort with views of Hilo Bay and Mauna Kea. Rooms for up to four people in December are around $209 a night or 40,000 Hilton Honors Points. Similar to Marriott, Hilton Honors Gold (you get this status automatically with some of the Hilton cards), Gold, Silver and Diamond status members get their fifth consecutive award night FREE! Hilton has several credit card offers right now with bonus points of up to 125,000 points. There is a daily resort fee of $30 per night, which is waived when booked with Hilton points. Like Marriott, you can also pay with a combination of Hilton points and cash if you are short on points (but the resort fees are NOT waived if you choose this option) . There are so many great airfare and hotel redemption options in Hawaii! We may have to visit more than once to experience more of the islands. Have you started working on your Hawaii strategy yet? 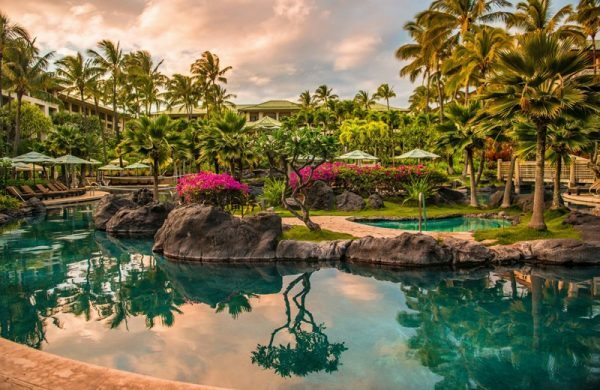 Check out these additional Hawaii Hotels You Can Book With Points! Re: Silver and Diamond status members get their fifth consecutive award night FREE! Are you implying that Hilton Gold members do not get 5th night free? Nope! I think we just missed adding that. Correct made. Thanks for catching!